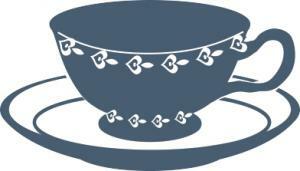 Download these tea party clip art designs to decorate everything from your party invitations to place cards for your table setting. Using clip art for a variety of décor elements can give your party a uniform, themed look. The following images are free for you to download and use however you'd like. Right-click on any image to save it to your computer as a .jpg file. 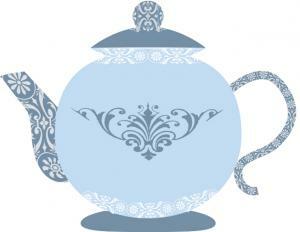 Clip art will be most helpful in designing your tea party invitation. The right image can set the tone for the entire event. Send your guests home with a memento of the party. Clip art can help you create unique tea party favors. 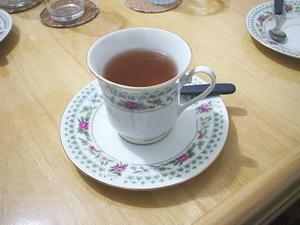 Make bookmarks using tea-themed clip art. 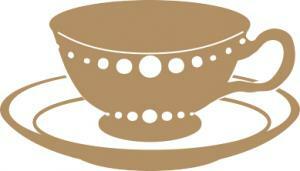 Design a small card with tea party pictures and information about a particular tea. Attach a tea bag so guests can enjoy a cup at home. Print tea cups and cupcakes on cardstock. 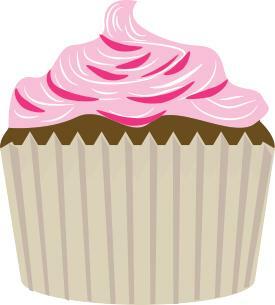 Fold the cardstock into a box and fill with miniature cupcakes or other treats. Add a touch of elegance to your party by decorating place cards with clip art and putting them at each seat, directing guests where to sit. The design of the cards should match your overall décor. Purchase paper placemats or cut sheets of construction paper or scrapbooking paper to placemat size. Print out clip art images and tape or glue them to the paper. You can create a uniform design for each placemat or make each one different. If you're hosting a child's tea party, kids can have fun creating their own unique designs. Cover with adhesive-backed clear shelf liner for extra durability. 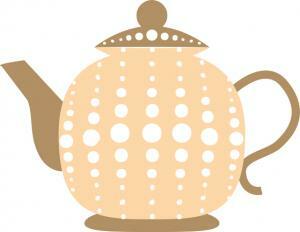 Use clip art images to embellish a scrapbook page commemorating your tea party. Add photos and a copy of your invitation, then use scaled-down clip art to create frames for them. 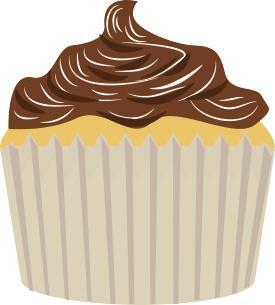 You can also use clip art in place of stickers or other embellishments. CanStockPhoto - While the clip art at this site isn't free, there's a great variety of images to be found here including vintage art from Alice in Wonderland and clips illustrating a doll's tea party. Prices start at $2.50 per image, so this is an affordable option if you only need a few. Public Domain Pictures - A small assortment of clip art and photos that are all free to download and use are available through Public Domain Pictures, though you have the option to donate a small amount of money to the artists and photographers if you wish. 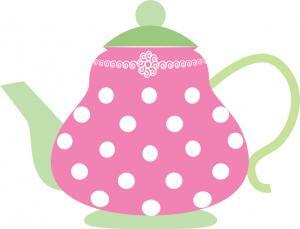 Images range from a collection of pink tea cups, banners, and cake to photos of loose tea. Openclipart - All of the clip art at this site is public domain, which means you can use it as often as you'd like for free. You'll find options that include various green tea images, several black and white pictures, and Japanese tea scenes. 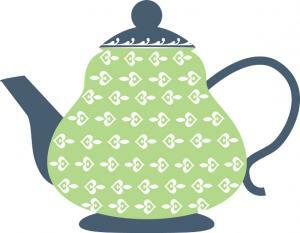 The Graphics Fairy - If you're looking for vintage art, The Graphics Fairy has plenty of options from antique teapots in various colors to full tea sets and even silhouettes. These images are all free to download for personal use. Love Mae - For a Christmas tea party, these clip art tags are the perfect addition to place cards and party favors. They feature tea bags with a Merry Christmas wish in a number of different designs, and are completely free to use. Use clip art to give your tea party a cohesive look without spending a lot of money on themed decorations, invitations, and favors. With so many resources available and so many different ways to use the images, you'll be able to create a beautiful setting for your tea party that your guests are sure to enjoy.